Growing up between the Ohio River Basin of Warsaw, Kentucky and the Appalachian Foothills of Union, Ohio taught Dave about both the hardships and triumphs of life. That area is also where he learned about all the diverse musical styles that still come through in his own music today. Hill music, country, bluegrass, twang, flat-top pickin’ and the real roots of American music, now called Americana Music, surrounded him in his early days. Growing up in the age of great rock roll that blasted from the radio filled out his music tastes and style. Going straight into the Navy out of high school and touring the world filled this natural story teller with a spectrum of life lessons. Every time he was home from being sea, his guitar was by his side and playing bus stations, bars and street corners became his stage to tell his stories of the life he had seen. Then came life after leaving the Navy. Dave took to the work-a-day life and music took a back seat to be a husband and father. As that chapter of life began to wind down, music came calling to him again. This time it came in the form of Dave writing his songs of life lived and more importantly, life observed. His natural story-teller came out stronger than ever, and you can hear these true life tales in most all of Dave’s songs. Not one to just make up a lyric, most of his songs come from life observed, or true tales of a man that his lived all over this great country of ours. Sometimes fueled by real emotion, or a glimpse of everyday events, but always looking for how the story might continue, or sometimes sadly end, his songs are a slice of real life. His voice is instantly recognizable; it gets in your bones and makes you feel part of the story, part of the song. His style of playing is full and rich, notes, chords and percussion all from his guitar. 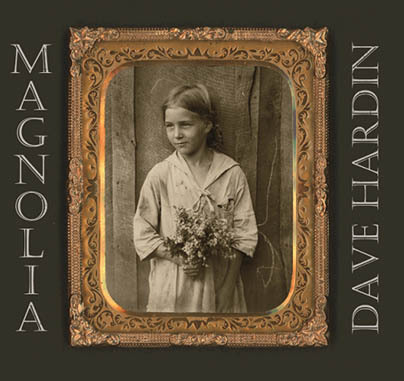 Dave Hardin is one of those rare talents that comes along and captures you as a fan for life, and sometimes you swear the songs are from your life. They just might be.